An utterly moving yet harsh, cruel and absolutely unexpected graphic novel by Craig Thompson, a much praised comic book artist whose earlier novel Blankets I conveniently missed and now will catch up for sure. 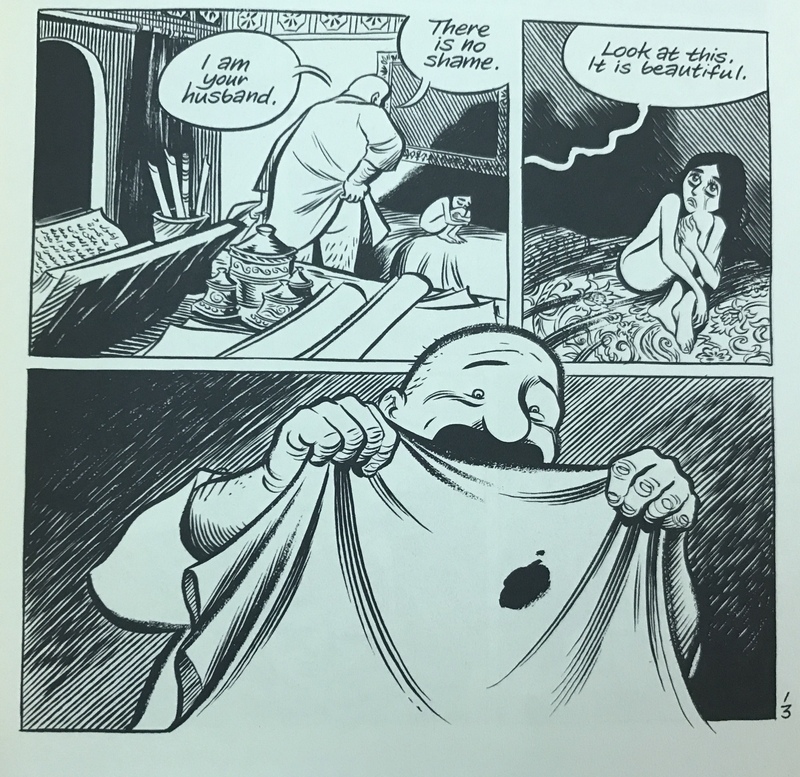 Despite the fact that its almost 700 pages are full of gruesome violence, horrendous child abuse, victimization of women, lust for the underaged, slavery, female torture and executions, self-mutilation, pain and agony, Habibi is but a precious gem. A story of love that goes beyond hardship, beyond pain and suffering, beyond hatred and loss of manhood, beyond the will of cruel rulers and the deeds of cruel men. 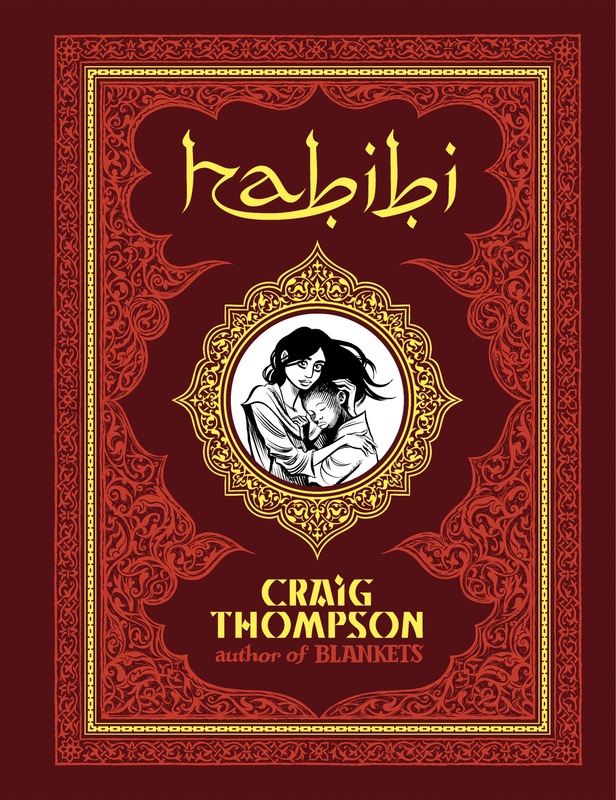 It's a roller coaster of Thompson's vivid imagination and no less disturbing imagery, married and intertwined with quotes, fables and passages from the Bible and the Quran. One of a kind. A brilliant piece of storytelling.